chelsea hatfield: "What is his name, Lord?" "What is his name, Lord?" In the deepest depths of my despair, my husband searched my face and begged me to speak. "Talk to me, baby. Tell me what you're thinking. Why are you so quiet?" It had been six or seven days - I don't know really, I had lost count - in the children's hospital, watching my baby deteriorate with each passing day. Constantly crying in agony. Open sores ravishing his body and growing by the hour. His mouth swollen and painful. His body aching from the inside out. Starving and dehydrated. Exhausted from lack of sleep. Poked and prodded by every specialist in the building. Still no answers. And in this moment he was quiet. And still. Eyes bright and far away. And clearer than I've ever seen before. And I was terrified. Finally I choked out the words, "I can't tell if he's getting better or giving up." Maybe he was done fighting. On this quiet morning I was on the brink of a complete emotional breakdown. It was everything I could do to stuff it down until I felt safe enough to have a good cleansing cry. It was here in this place we received a message. Jeff read the text out loud. His cousin, Adriel, had been praying for Jagger and saw a vision. A warrior angel standing over Jagger's hospital crib. Me sitting at the window. The angel's left hand rested on Jagger's chest, his right hand gripped the handle of his sword, ready to go to battle for my son. "What is his name, Lord?" she asked. And He answered her. His name was Hezekiah. A name that means "God is my strength". They did so and applied it to the boil, and he recovered." I fell to my knees on the hospital linoleum and wept so hard. All my pent up emotion broke through the floodgates and washed over me, cleansing me of all fear and doubt. My God had spoken to me. He had seen my tears. My hope was restored. My strength was renewed. We were going to finish this battle. I didn't know how long it was going to take and what lay ahead but it didn't matter. We were known and we were not alone. I realize that not everyone gets to carry their child out of the hospital. That everyone's story looks different. And that sometimes God's answer is no. Jagger is no better or worse than any other child. We are not special or chosen or more faithful. And I will not sit here and pretend to know what it feels like to stand at my child's grave. All I can attest to is my God's sovereignty and goodness. He is good all the time. And He can make goodness not just out of ashes but out of nothingness. When there is nothing. left. He can spring forth life. Whether you acknowledge Him or not, you are known by Him. And He longs for you to know Him. Its better there, my friend. The world is too dark, our lives too hard, to spend anywhere other than His arms. And the hope He offers, no matter what may come, is just too sweet to pass up. - The image above was sent to us while in the hospital by another of Jeff's cousins. I love the power that resonates from it. It doesn't matter how small we are. How mortal. 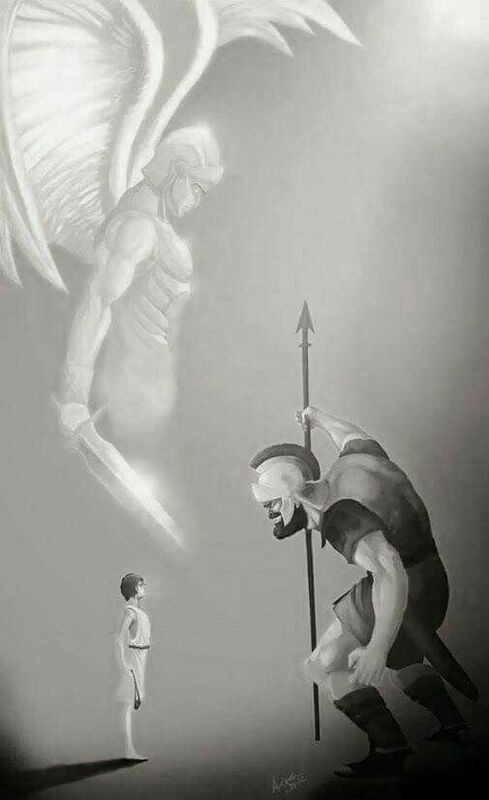 When the Lord is on your side and goes to battle for you, who can stand against? - One of the main symptoms of Jagger's illness was large open sores all over his body. I couldn't believe that Hezekiah had also suffered from a large sore. Its amazing to me how God cares about the intricate details of our lives and sent someone like Hezekiah to our aid. - Hezekiah can also be found in Isaiah as well as listed in the lineage of Christ. You can read more about Jagger's story here.